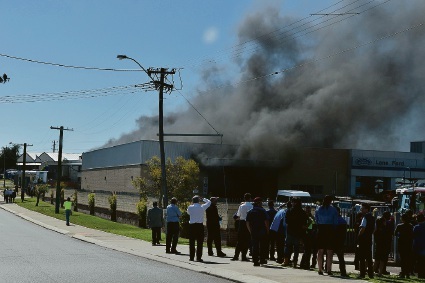 Lane Ford in Mandurah on fire. LANE Ford on Pinjarra Road is on fire. The sounds of exploding fuel tanks can be heard coming from the service centre. Fire crews are at the scene and workers have been evacuated. The fire started before 2.30pm.